Chris Polite, a lifelong resident of the Warrendale neighborhood in Detroit, performed with his band, The Infatuations, yesterday at Hard Rock Cafe. 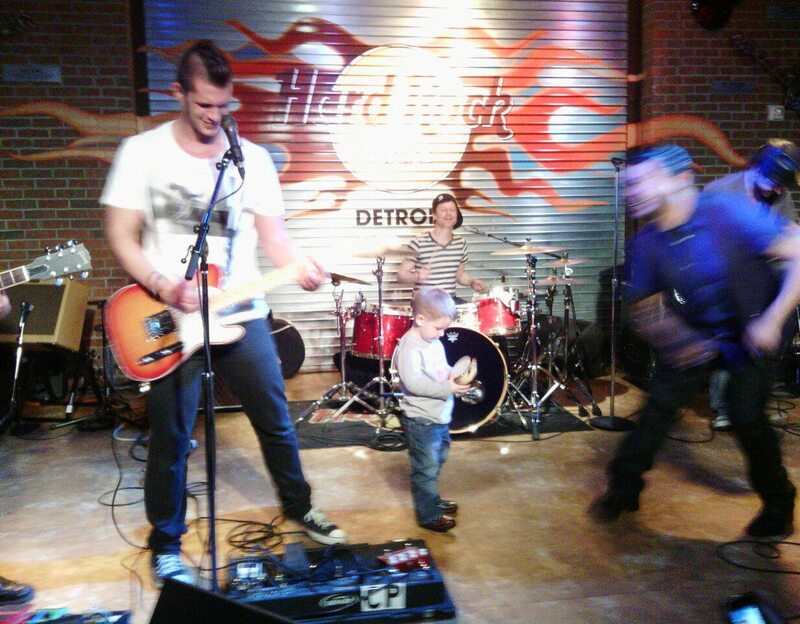 Chris's nephew Tyler, who also lives in Warrendale, even joined them on stage at one point. Their performance was part of the Hard Rock Rising contest. More than 12,000 bands from around the world entered the Hard Rock Rising contest. After several rounds of voting, The Infatuations are one of only 96 bands that are still in the competition. If they finish in the top 25 when on-line voting ends tomorrow at midnight, they will go on a world tour and possibly win a recording contract. If you have a Facebook account, you can help The Infatuations by voting for them in the Hard Rock Rising contest. All you have to do is click here, scroll down to where you see them listed, and then click on "vote." You will also be able to download their single "Dancing on My Knees" for free. Supporting a fellow Warrendale resident and collecting free music in the process is your Tip of the Week.